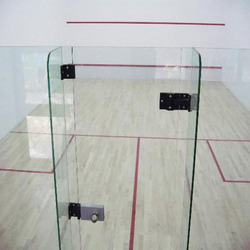 Leading Manufacturer of wooden indoor squash court flooring, squash court wooden flooring, squash and turning court flooring, sports squash court flooring, brown squash court flooring and indoor squash court flooring from Mumbai. 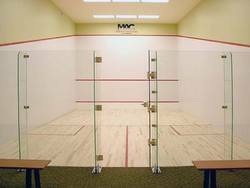 Ours' is an illustrious organization that is engaged in offering a vast assortment of Wooden Indoor Squash Court Flooring. The offered products are manufactured using optimum-grade timber that is sourced from certified vendors of market. 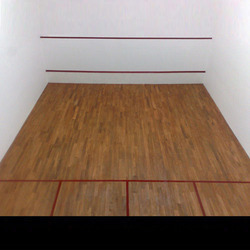 We have gained expertise in delivering a quality range of Squash Court Wooden Flooring. Advanced technology and latest machines are employed in the manufacturing process following industry standards & norms. With through knowledge of this domain, we are instrumental in offering Squash and Turning Court Flooring to all our prestigious clients. 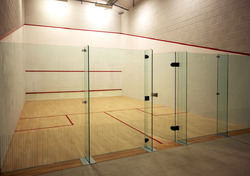 Our prestigious clients can avail a wide range of Sports Squash Court Flooring that is designed using high grade basic material and progressive technology. 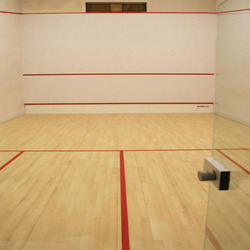 Leveraging on wide expertise, we are instrumental in manufacturing best quality Brown Squash Court Flooring. Our offered flooring systems are highly acclaimed for its international standard layouts and technically advanced assembly. These Indoor Squash Court Flooring are precisely accomplished using high grade wooden material and cutting edge technology. 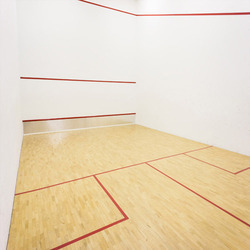 Plain Squash Court Hard Plaster System Flooring is made under the strict supervision of our experienced professionals using the latest technology and quality raw material. In order to maintain quality standards, these are monitored by our experts at various parameters of quality and performance. 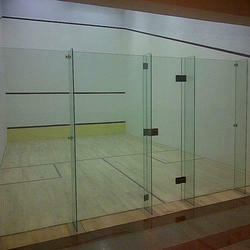 We are developing long lasting Squash Courts Flooring for multiple sports such as badminton, tennis, and volleyball. The offered court flooring is developed with advanced tongue and groove system which offers it remarkable bounce and durability. Asian Flooring India Private are the prominent manufacturer of a various sports court and we are into Wooden Squash Court Flooring since the long period of time. We are the prominent manufacturer of a various sports court and we are into Indoor Squash Sports Court Flooring for a long period of time. 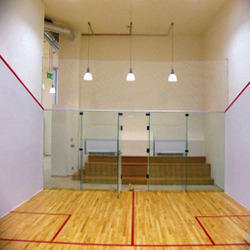 We provide construction services for Squash Court Construction. In addition to this, these Athletic Track are widely demanded their perfect execution and promptness. Furthermore, our valued clients can avail this Athletic Track from us at the most competitive prices. 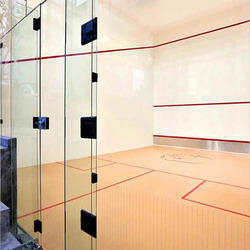 We are renowned firm manufacturing widely demanded Squash Court Hard Plaster System Flooring. We have invested substantial resources in exploring the innovative quality of hard plaster system of squash courts, which is highly trusted for assured whiteness and strength. With consistent innovation and sincerity, we are highly appreciated in making Synthetic Training Squash Courts. They are crack free and high in quality standards. 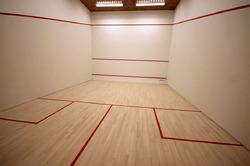 Looking for “Squash Court Flooring”?